"I began my career in Public Accounting in 1990. 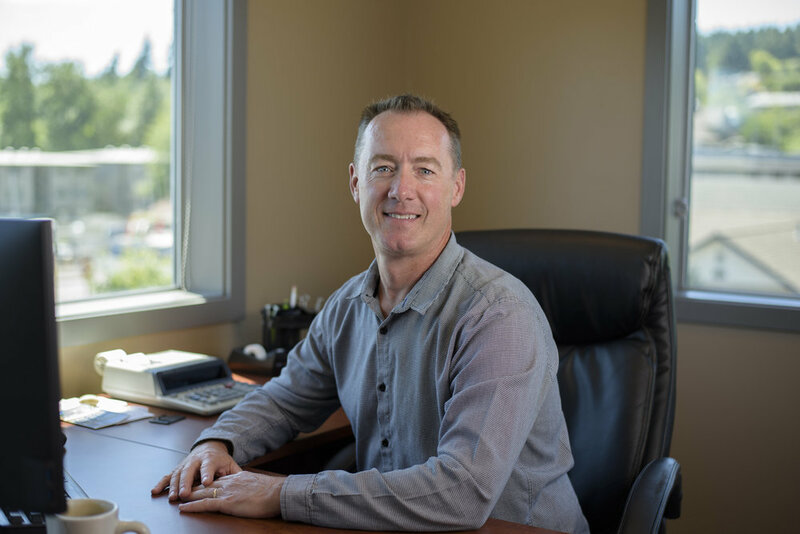 Born and raised in Bremerton, I traveled to Idaho to attend Northwest Nazarene University where I received my Bachelor’s degree in Accounting and Business Administration. After graduation I returned to Bremerton and began working in a local CPA office. In 1993, I formed a partnership with another local CPA where I worked full-time until 2007. I have always had an entrepreneurial spirit and an eye for opportunities in business, which led to my involvement in various other ventures both past and present. In the late 90’s I was involved in the formation of a manufacturing business that produced a winter traction device that quickly expanded to worldwide distribution. In 2006 that business was sold to a large footwear accessory company. I also have experience in real estate development projects both locally and in the greater Phoenix, AZ metropolitan area. In addition, I manage commercial and residential rental properties held individually and through partnerships. My direct involvement in ownership of numerous businesses and real estate gives me first-hand knowledge and experience that I can use to assist you."